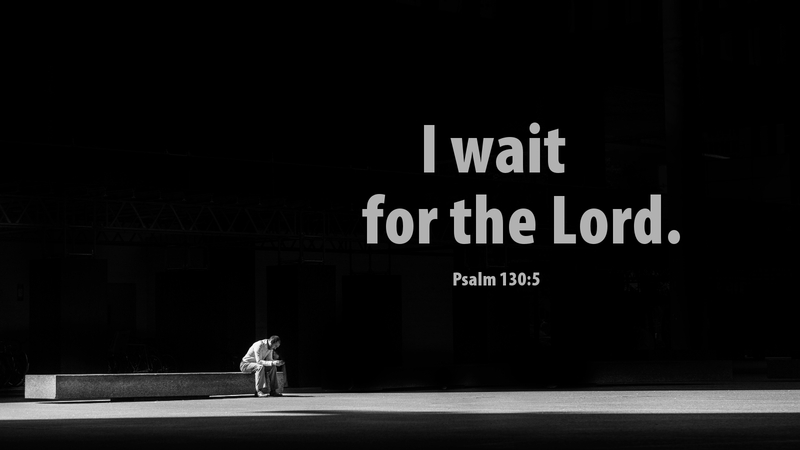 There are times when our “waiting” involves sitting quietly, calmly, expectantly. A doctor’s office comes to mind, where we wait in silence, thumbing mindlessly through a well-worn magazine. Other times, our waiting is active. When our kids were young we waited busily for my parents to arrive for Christmas, making their bed with clean sheets, picking up the last of the toys off the floor, wrapping final gifts, making sure all was ready for the holiday! At its best, Advent is both of those kinds of waiting. We spoke a several days ago about quiet time during Advent and the need for prayer, silence and time in the Word. Special Advent services also help us to stop in the midst of our busy-ness to hear the Word, be in the presence of God and offer him thanks and praise for the coming of his Son, our Savior Jesus Christ. Having mid-week Advent Vespers was always a blessing for me and my family, as it was a willing, if forced, “pause” in our preparations. We can also wait while busy! Waiting for the grandparents to come for Christmas, we often gave our kids tasks or chores to keep them busy so that the time would pass more quickly and waiting wouldn’t be such a burden for little ones. I’m guessing our kids do the same with their kids when we come for a visit! And now, our waiting for Christmas is surely filled with activity and preparation. There’s still time for last-minute shopping, baking, cleaning and “getting things done”! There’s also time for hurried prayers of exclamation! Martin Luther advocated, in the Large Catechism, the value of short, exclamatory prayers such as “Lord God, protect us! Help, dear Lord, Jesus! or the like.” No matter how our last few days before Christmas shape up, we are waiting, together, for the Word made flesh, Jesus Christ — our only hope and salvation! Prayer: Lord Jesus, help us! Amen! Thank you Lord for the time and effort by Asst Bishop Wendell for these Advent preparatory words. Praise Father, Son and Holy Ghost!